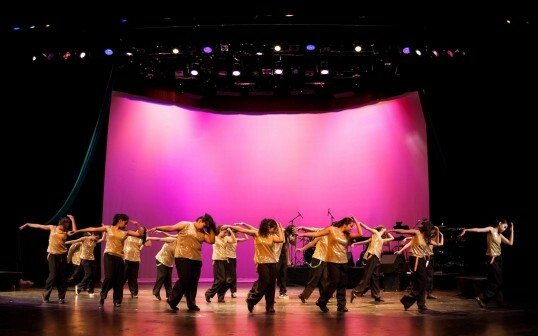 Together Again - Cheshire Moon Inc.
We were proud to involve members of our student dance community in the performance, as well as provide guidance on the charitable giving component of the event. Not only did the Gabriella Charter School Company dancers open the show in two incredible numbers featuring a medley of fan favorites and more than 50 dancers ranging from elementary to middle school students, but a portion of the proceeds from the weekend were donated back to art and music programs in local public schools. 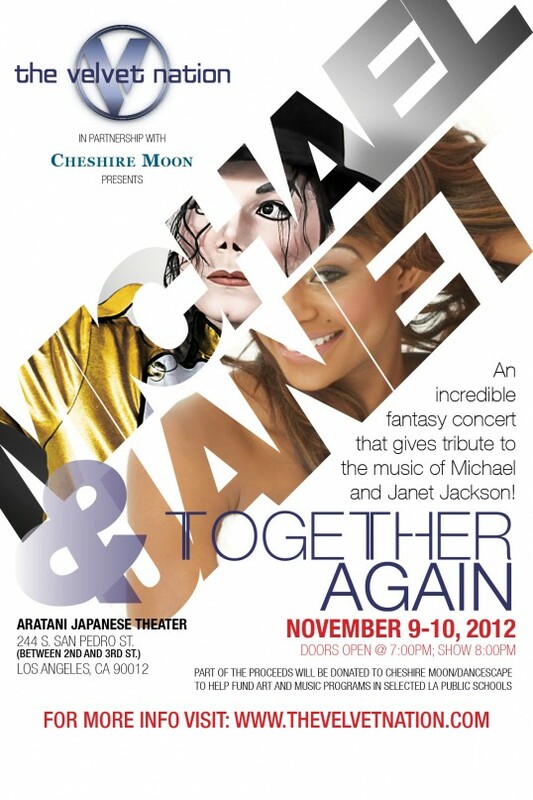 This fantasy concert brought world-renowned Michael Jackson impersonator, Michael Kiss, and the critically acclaimed Janet Jackson impersonator, Celina Nightengale, together for an onstage reunion for the Jackson siblings. Coupled with a powerhouse band and incredible dancers, this live event featured all the greatest hits from both performers’ repertoires. Proceeds from “Together Again” were generously donated to help provide art and music education opportunities in Los Angeles public schools.